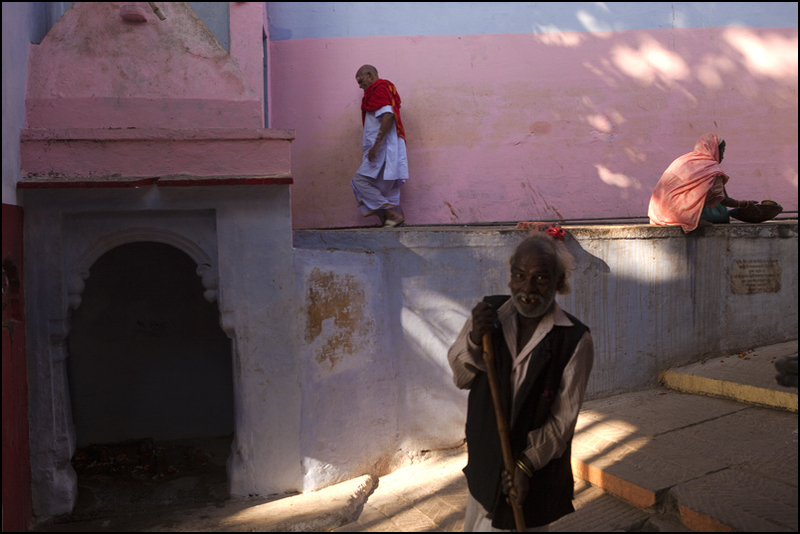 In front of a little shrine in a street of Varanasi. Uttar Pradesh. 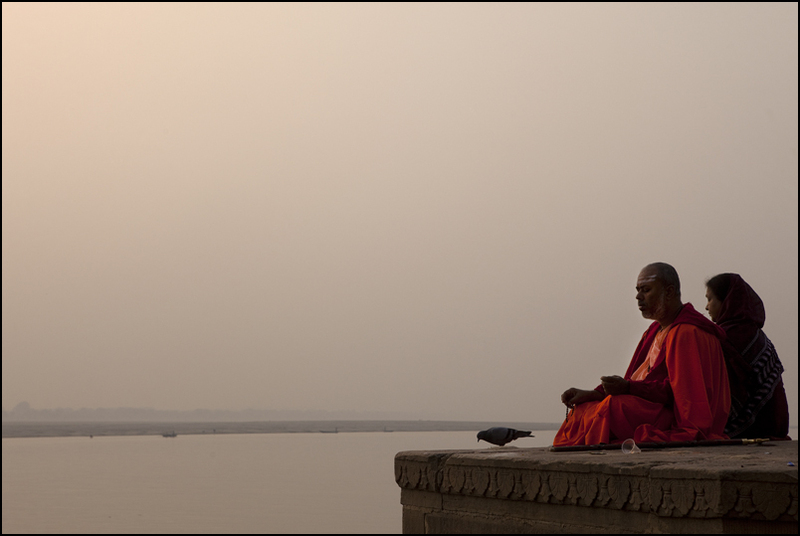 Morning Meditation on the banks of the Sacred Ganga in Varanasi. Uttar Pradesh.